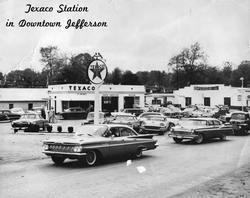 Jefferson Students leave for Washington in 1954. 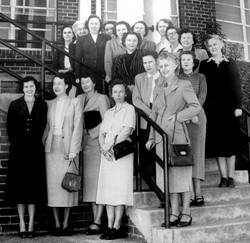 Elementary School Teachers in 1953; Miss N. Mackey, Miss C, Cowan, Miss R. Miller, Mrs. S. Langford, Mrs. A.W. Ash, Mrs. H. Gurley, Miss Frances Smith, Mrs. C. Mobley, Miss I. Rankin, Mrs. G. Spratlin, Mrs. A.L. Dadisman, Mrs. D. Turner, Mrs. A. Roberts, Mrs. C. Boggs, Mrs. H. Tonge, Miss F. Roberts, Mrs. D. Moore and Mrs. J. Anderson. 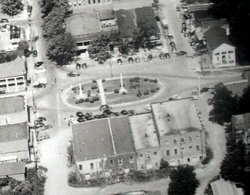 Aerial photo of Jefferson around 1954. 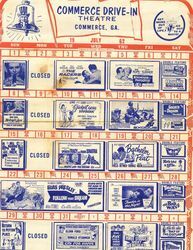 Monthly Commerce Drive-in movie Schedule in 1962. 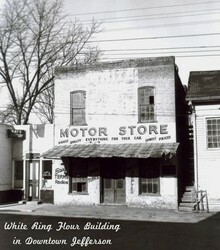 Crawford W. Long Inn around 1955. 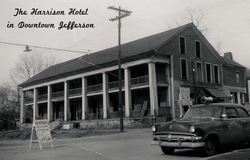 THe Harrison Hotel In Jefferson in the early 50's. "J" Club ~ First Row: Left to Right ~ Gail Silman, Sarah Barnett, Dot Cook, Merle Satterfield and Coach Davis. Second Row ~ Sidney Johnson, Terrell Benton, Mack Elder, Clarles Middlebrooks and Earl Carithers, Third Row ~ Thomas Crenshaw, Locke Potts, Jimmy McMullan, Donald Cole, and John Anderson. Fourth Row ~ Billy Sailors, Marvin Hall, Y.D. Maddox, ~ Fifth Row ~ Prince Watkins, Charlie Barrett, Carrol Dadisman, Willie Craig and Raymond Adams. 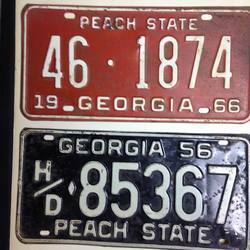 Early Jackson County Tags in 1956 and 1966. 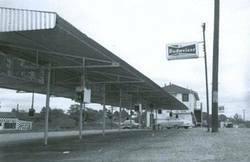 The John Godfrey Service Station in 1964. 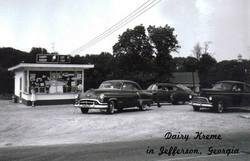 The Early Dairy Kreme owned by Fuzzy Hoard in 1953. 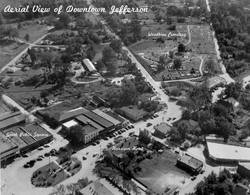 1953 Aerial Photo taken by Bob Freeman from the Jimmy Johnson Plane high-liting the Jefferson Square. J-Club members pledged too improve student participation in the athletic programs which includes varsity sports, and physical education activities, thus improving the school spirit and standards. First Row ~ Left to Right; Dot Cook, Pam Cutts, Sarah Barnett, M.G. McCain, Jackie Marlow, Shirley Shaw, and Caroline Storey, Second Row ~ Left to Right: Bobby Hooper, Billy Cutts, Jack Scott, Dwight Howard, Billy Wilbanks, Hershel Middlebrooks and Robin Self. 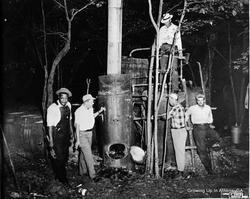 Third Row ~ Left to Right; Charles Middlebrooks, Marvin Hall, Don Cole, Y.D. Maddox, Don Marlow and Lamar Love. Fourth Row ~ Left to Right; Webster Samples, Earl Carithers, Davis Roberts, John Anderson and Coach John Davis, Adviser. 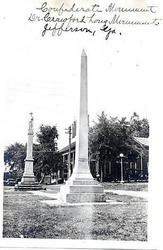 The Confederate Monument in downtown Jefferson. 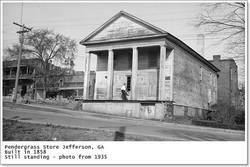 Jefferson High School students in 1952. 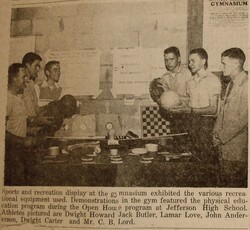 Young Jefferson Dragon football players in 1962. 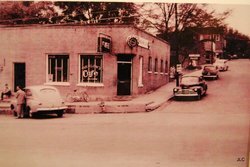 Buck Marlow Cafe in 1954. 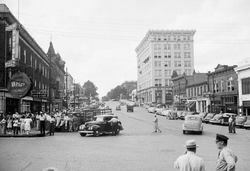 Downtown Athens featuring the old Varsity ( Lower Left ) in around 1950. 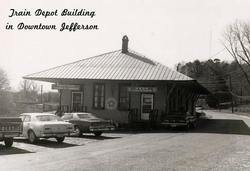 The Jefferson City Depot in 1955. 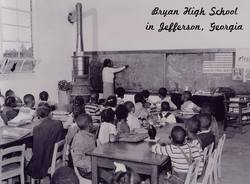 A Bryan High school Classroom in around 1958. 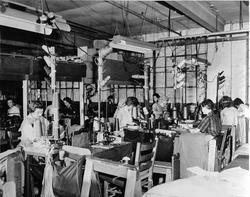 Winder Carwood Manufacturing Company sewing room in 1956. 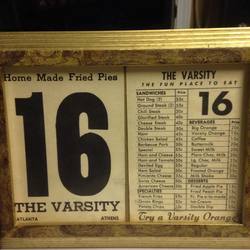 You could get 2 hot dogs, a frie and big orange for $1.00 in 1960. 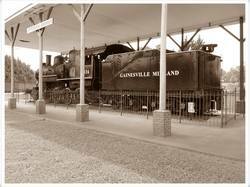 Gainesville Midland Train engine now on display in Gainesville, Georgia. 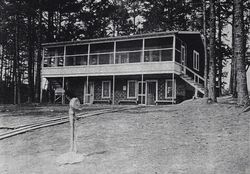 Early Commerce Country Club Clubhouse in 1955. 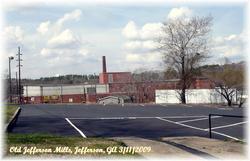 Harmony Grove Mill in Commerce. 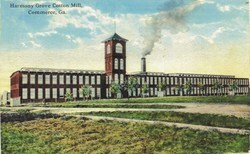 Blue Bell Manufacturing Company in Winder, Georgia. 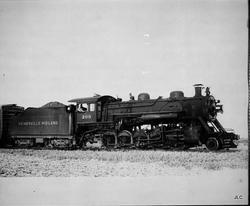 Gainesville Midland Train engine on display in Jefferson, Georgia. 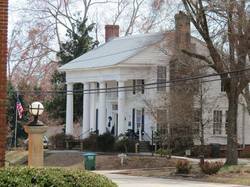 Mayor Byrd Bruce home in Jefferson, Georgia. 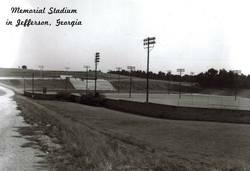 Early Jefferson Memorial Stadium in around 1963. 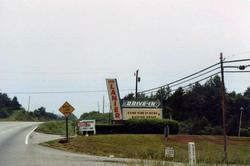 Lake Lanier Drive-in in Gainesville, Georgia. A 6-cylinder, speedometer registered 80 miles-per-hour 1962 Mercury Comet. 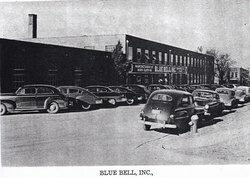 Cecil Buffington's first automobile. 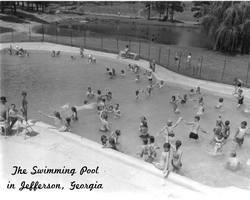 The old Jefferson swimming pool in around 1956. The Triangle Drive-in in Winder, Georgia. 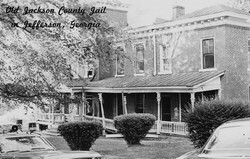 An early Jackson County Still. 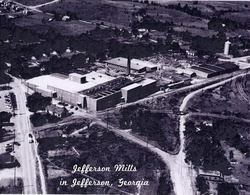 Probably around 1950. 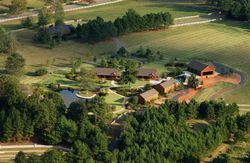 Early aerial view of the Kenny Rogers estate in Ila, Georgia. Memorial side of Stone Mountain.